Vitor Weinman M.D. and Associates (Coral Gables) - Book Appointment Online! This practice is dedicated to the dermatological needs of the South Florida community. With over 32 years of experience, our Doctors are members of the American Academy of Dermatology. 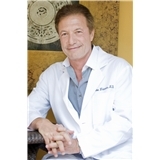 Dr. Weinman is board certified in Dermatology and Dermatopathology. He also holds a Master’s Degree in Applied Psychology. With these complimentary areas of expertise, Dr. Weinman is able to provide a unique and more integral approach to healing, medicine, and the body-mind approach. Our team of experts is here to attend to your needs and concerns. Our physicians speak English, Spanish, French and Portuguese. As a welcome gift to the practice - A FREE Chemical Peel (Value $75.00) on your initial visit.